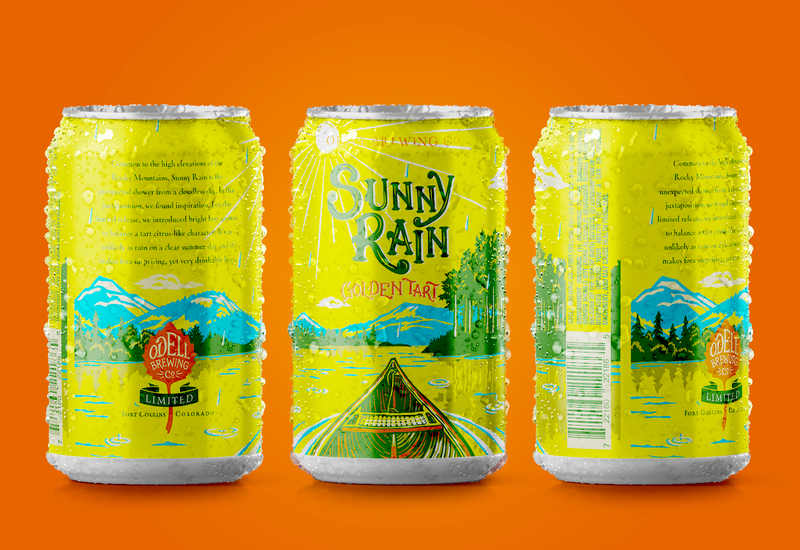 Odell’s Sunny Rain is a quintessential Colorado phenomenon and strikes a balance between two key attributes: hoppy aroma and an approachable, yet complex, tartness — much like a refreshing summer afternoon sun shower, which is a perfect balance between sun and rain.With some of the older beers returning in 2017, Odell needed something new in the Limited Series to excite the Odell fans. 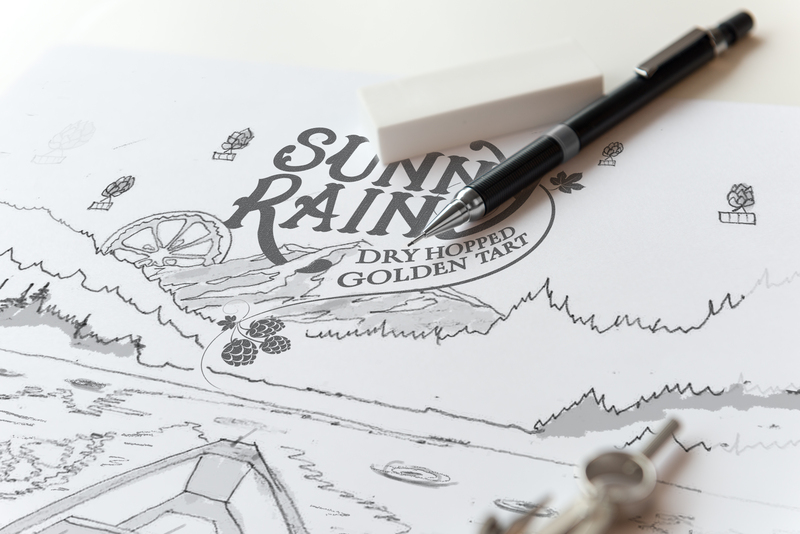 The brewers were inspired to push the envelope and introduce something unexpected. 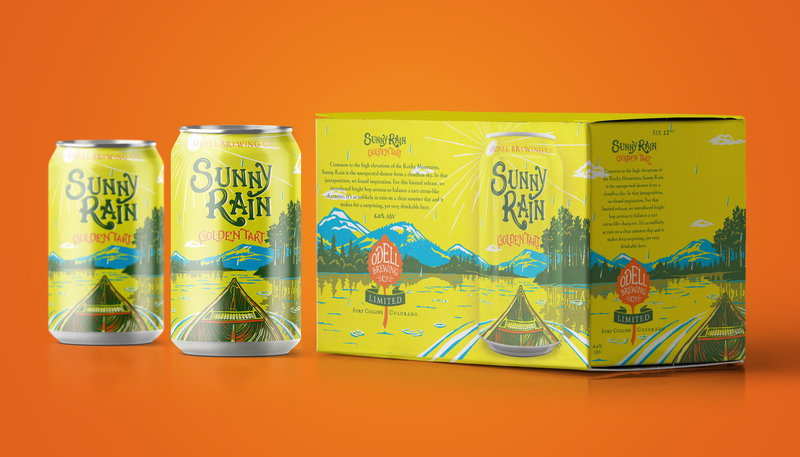 We wanted to achieve the same with the packaging and the result was just that and very exciting. 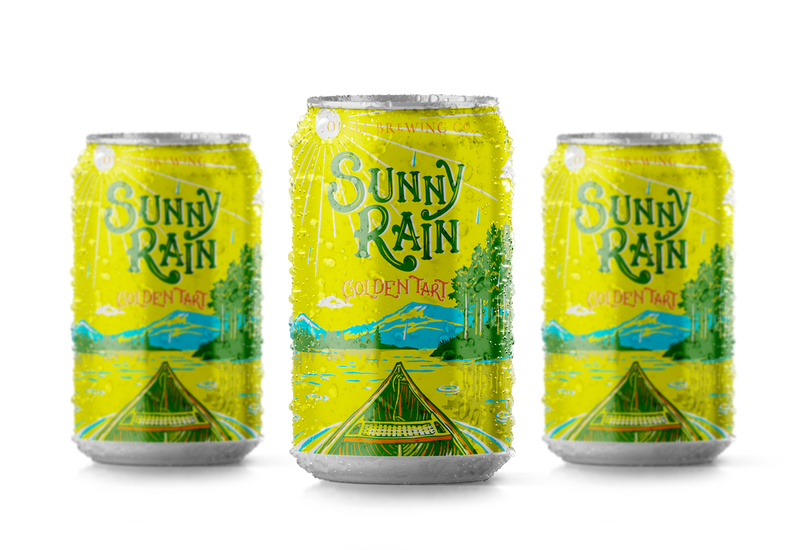 The August 2017 release was perfectly timed as the beer’s bright flavors fit well with the warm days and the end of the Summer season. 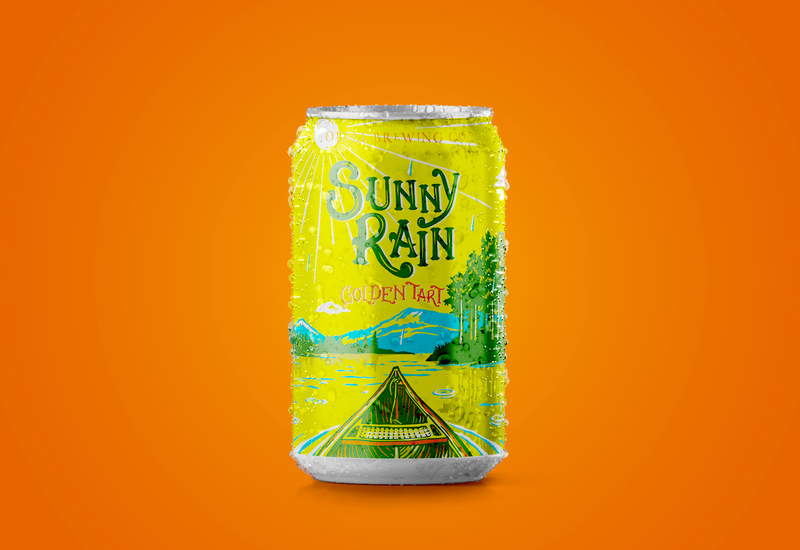 The mimosa is dead, long live the Dry Hopped Golden Tart.